A median is the middle number of a series of numbers that are ordered from smallest to largest. Therefore, 50% of rents are above the median while 50% are below. An average is the sum of the total divided by the number of items. 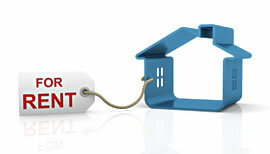 Therefore, the average rent can be swayed by unusually high or low rents in a series.